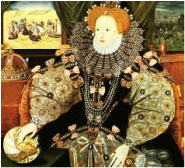 The Early Elizabethan depth study focus on a substantial and coherent short time span of 30 years and require students to understand the complexity of a society or historical situation and the interplay of different aspects within it. These may include social, economic, political, religious and military aspects. The content is divided into three key topics. These provide a framework for teaching and understanding the option, but should not be taken in isolation from each other. There is some chronological overlap between key topics – this structure helps highlight the complexity and interplay of different aspects within society.